As Oahu’s largest dolphin watching vessel, the Dolphin Star is custom designed to whisk guests away on a memorable eco tour on Hawaii’s blue waters. Dolphin Star is more than just another tour vessel—it’s a responsible company dedicated to offering environmentally conscious cruises for the community to enjoy. Since its debut in 2007, Dolphin Star has complied with all government guidelines for the protection of marine mammals. We are committed to providing safe cruises and operating responsibly while keeping in mind the well-being of Hawaii’s natural habitats. Just as we value the safety of marine mammals, so too do we value the safety of our onboard guests! Our captains are Coast Guard licensed and our crew members are fully trained in first aid, CPR, water rescue and more. Also onboard are our Certified Naturalists, who are thrilled to share their extensive knowledge and create once-in-a-lifetime dolphin experiences for our guests. Learn more about what makes our eco tour so special! For more information or to book a cruise today, call (808) 983-7732 or visit www.Dolphin-Star.com/dolphin-cruises-oahu-buy-tickets/. Celebrate National Dolphin Day aboard the Dolphin Star! 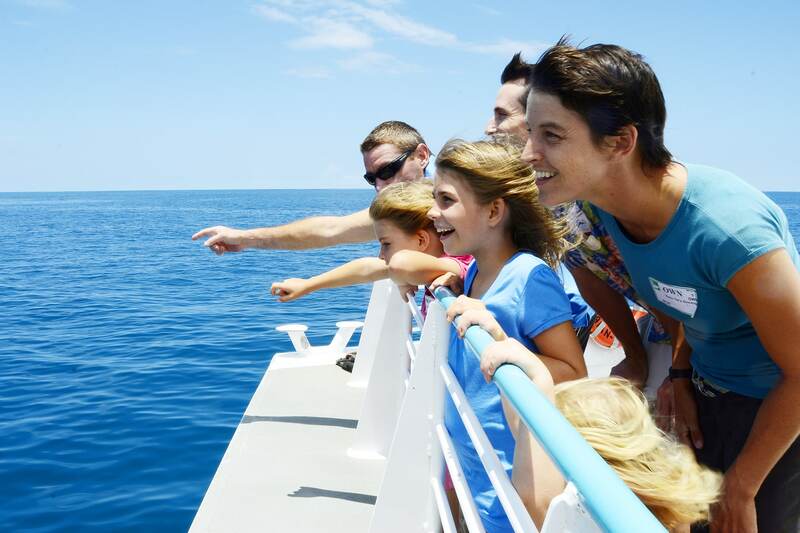 April 14 is National Dolphin Day, and there’s no better way to celebrate than by treating the whole family to an unforgettable day of observing wild dolphins in their natural habitat aboard Dolphin Star! 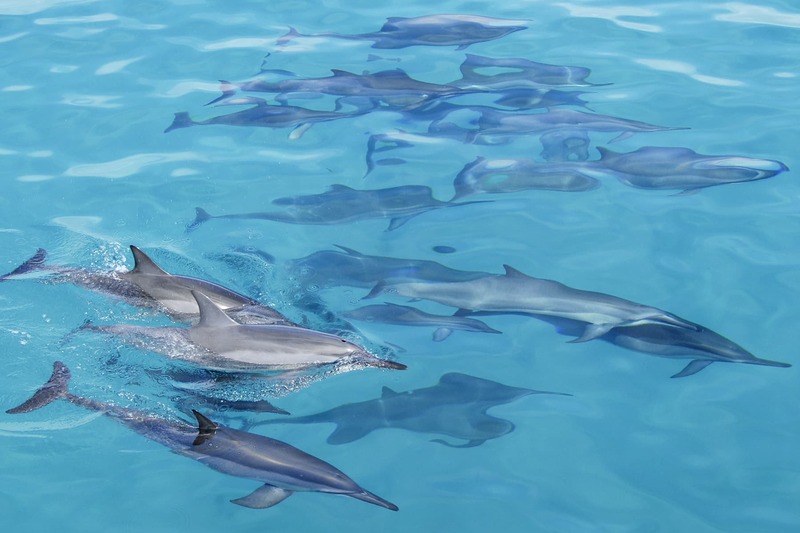 Celebrate dolphins all month long on the beautiful coast of West Oahu aboard Oahu’s largest dolphin watching vessel complete with open-air, wrap-around decks, an onboard BBQ grill, shaded dining area and onboard restrooms. Dolphin Star offers three exclusive packages catering to all ages and budgets. On the morning Wild Dolphin Watch cruise, guests can learn more about these creatures from a crew of friendly certified Naturalists. Plus, guests can upgrade to a tasty BBQ lunch. They also have the option to cruise in the afternoon and enjoy a delicious BBQ lunch and a guided snorkel tour at one of Oahu’s best snorkeling spots. Don’t delay—plan your National Dolphin Day excursion today! For more information, call (808) 983-7827 or visit www.Dolphin-Star.com.